Our last full day in London brought us absolutely beautiful weather! Such a lovely send off! We started our day with breakfast and more pictures on our way to Westminster Abbey. 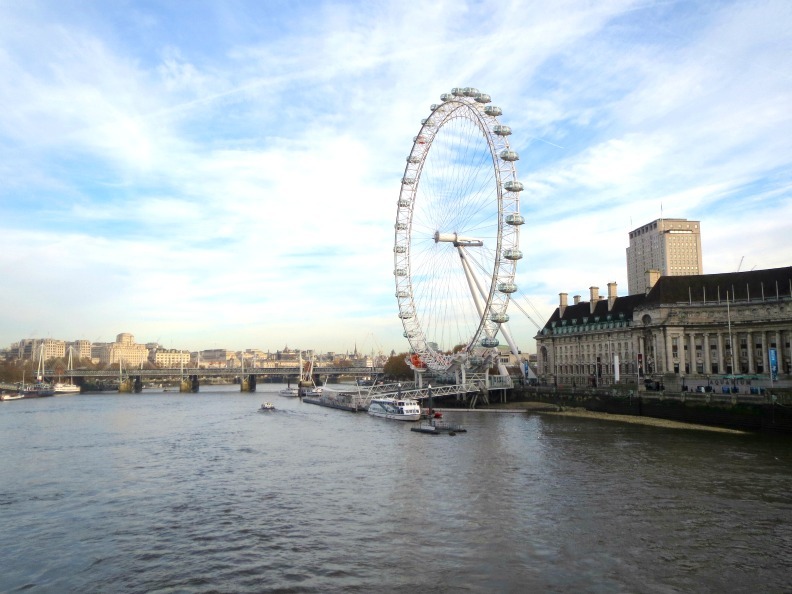 We loved walking past the London Eye every day on our way to our adventures. Our stroll from our hotel was pretty and quick, so bright and early we got into the already forming line and waited for Westminster Abbey to open for tours. Unfortunately, no pictures were allowed inside the Abbey, so you’ll just have to allow me to paint you the scene with my words. Or, you could always just google pictures of the interior. 🙂 Until then my outdoor pictures will have to suffice! 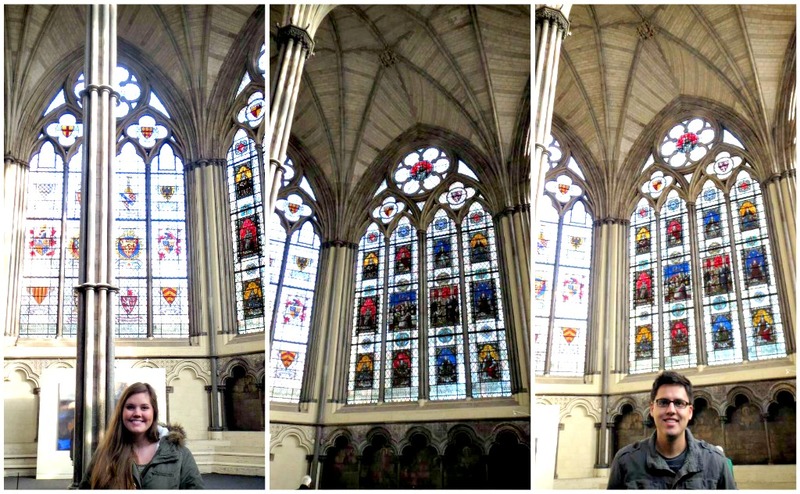 We used the audio tour to explore the inside of the Abbey. It was…different. Parts of it were as regal and beautiful as I imagined they would be. However, there are SOOO many people buried there. Like, hundreds maybe? Not even kidding. Maybe this is common knowledge, but I was not expecting to be walking next to and on top of graves the entire time we were touring. 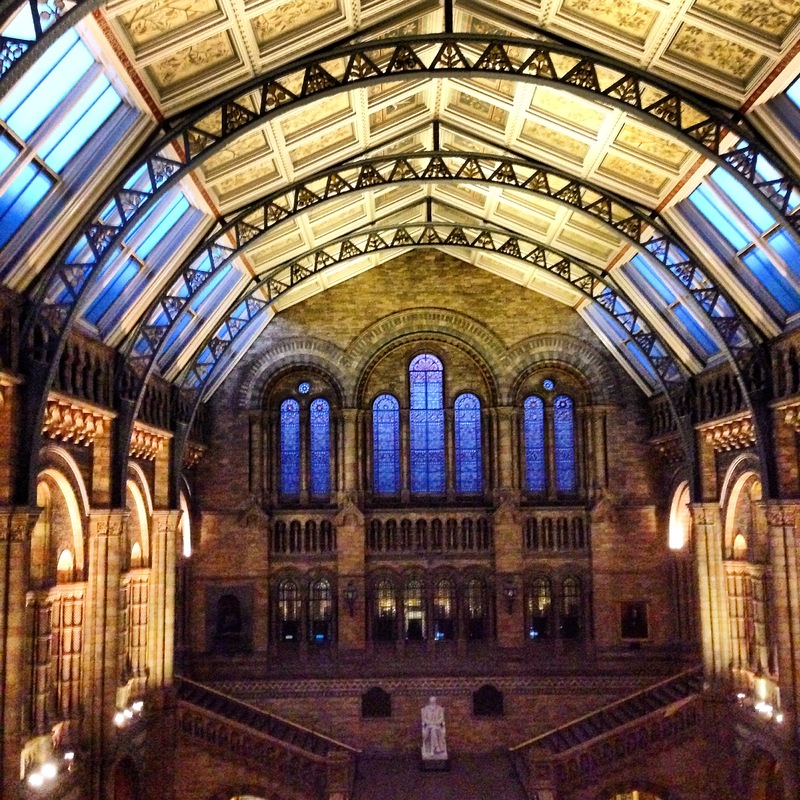 It was like a giant, indoor cemetery…very odd! 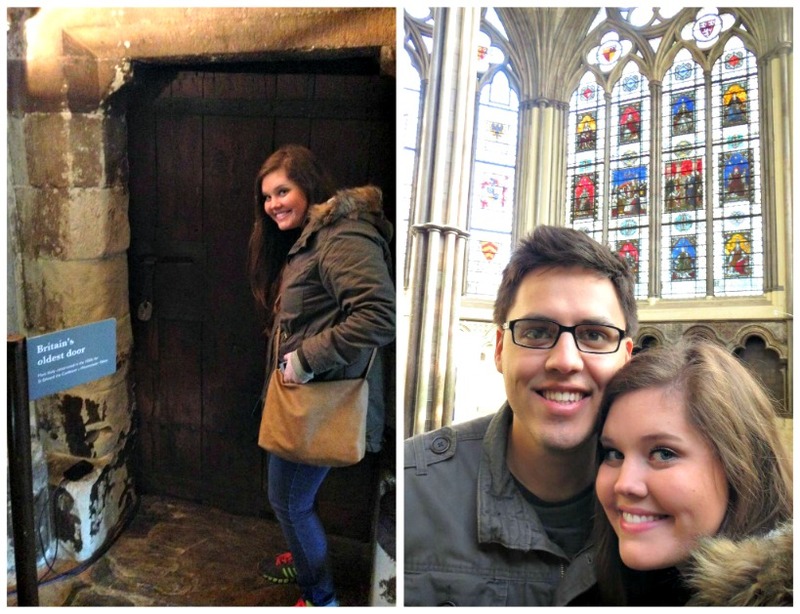 The walls and floors were lined with tombstones, memorials, and vaults. It was neat to learn the history of the chapels and people buried there, but I was expecting more of a church feel and less of a mausoleum. 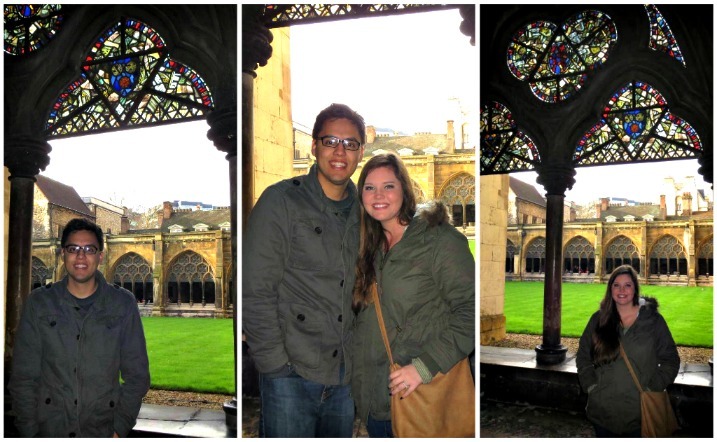 We wandered around admiring the statues, architecture, and stained glass for a couple of hours before we headed outside. 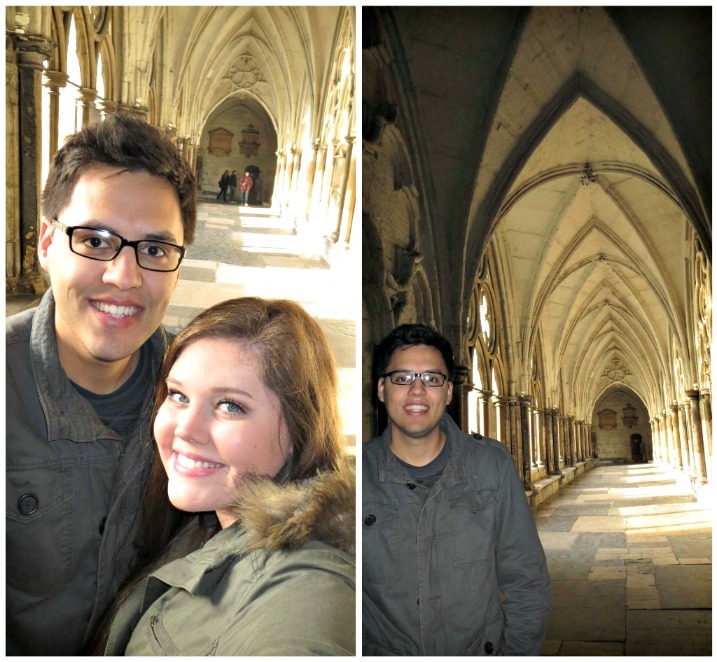 The corridors leading out of the Abbey were 100% from Hogwarts, so naturally, we took tons of pictures! You can’t tell me these hallways won’t lead me to the Great Hall. The corridors surrounded a beautiful courtyard with more stained glass and photo opportunities. Next we found Britain’s oldest door, which dates around 1050! I pretended to knock on it, while fearing it may disintegrate, before we headed into the chapter house. This area was a beautiful octagonal room full of stained glass and wall paintings that dated back to the 1200s. I loved the tall, extravagant ceilings! The architecture was stunning in here. 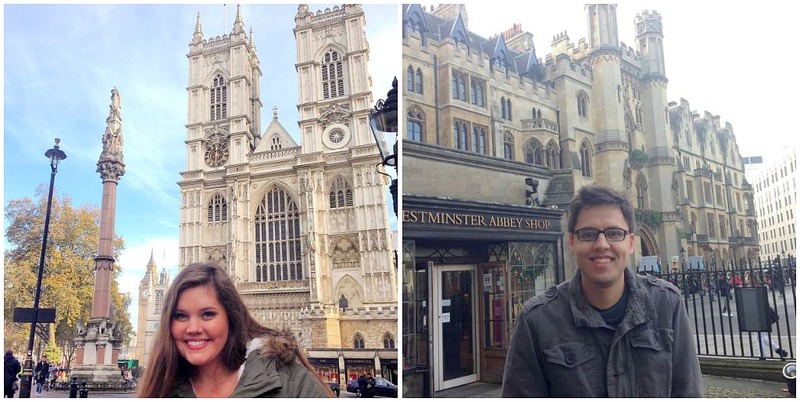 We explored Westminster Abbey for a little while longer, and took a few more pictures of the lovely exterior. 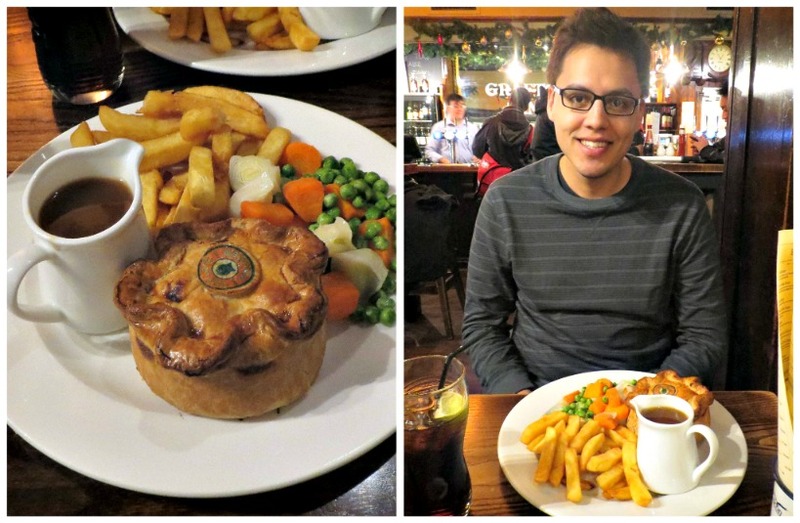 By that time we were cold and famished, so we headed to a nearby pub and grabbed some Steak and Ale pies. Nowhere near as good as fish and chips, but it was nice and warm on a chilly day! 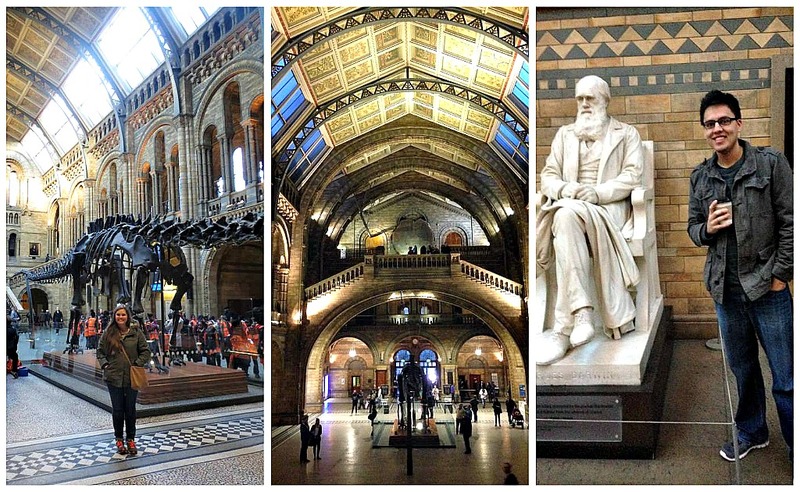 The rest of our day was mostly unplanned, so we decided to go to the Natural History Museum on a whim. It was one of the best decisions we made! The museum was jaw-dropping! We were floored by the amazing architecture. When you come in, you are greeted by a huge dinosaur skeleton, which inspired us to quickly head into the dinosaur exhibit. It was so great! They had so many fossils and skeletons and a huge animatronic tyrannosaurus rex. Louis was so psyched…he’s been a huge dinosaur fan since he was little. My personal favorite part was the mineralogy area…in particular The Vault. It housed some of the most beautiful stones! I wish I had taken some pictures, though I doubt they would have done the gems justice. We spent some more time in the main lobby while the sun set. The evening light coming through the cathedral-like ceilings was stunning. 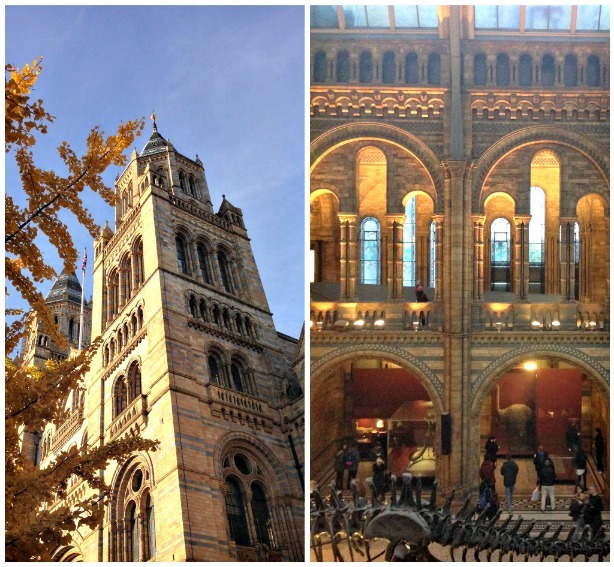 If I’m being honest, I think I was more impressed by the architecture at the Natural History Museum than at Westminster Abbey! 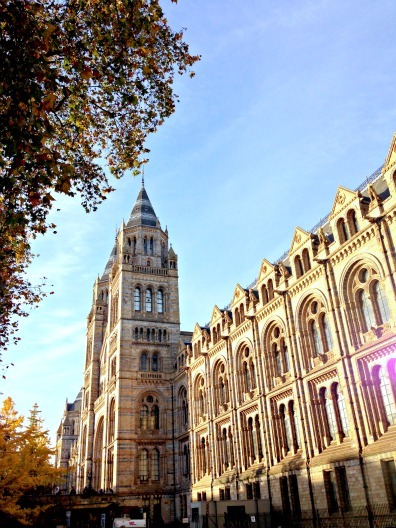 Even if you aren’t a huge museum fan, this is a must visit when in London. 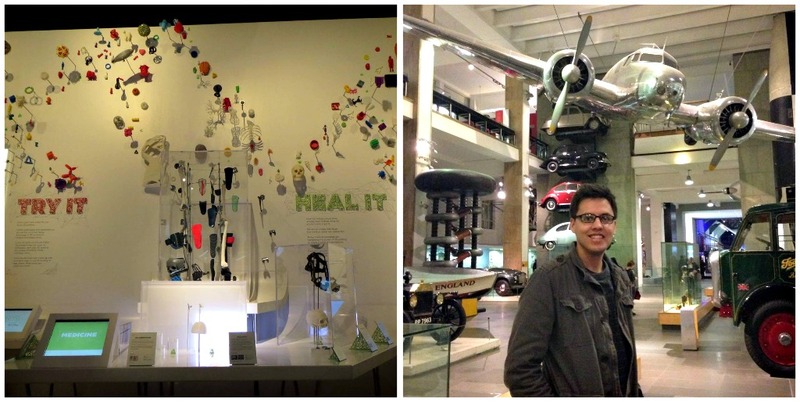 The museum was closing, so we strolled next door to the Science Museum. We mostly visited here because they were having an exhibit about 3D printing, which Louis is super interested in. It was neat, and I’m so amazed by all of the things that can be 3D printed! It is creepy and exciting all at once; I feel like we’re totally living in the future. We explored a few more exhibits, but we were pretty exhausted by this point. I’m sure there are a ton of areas that we didn’t even set foot in, so maybe this should be on our list to visit if we ever go back! The Steak and Ale pies from earlier hadn’t really held us over, so we headed to find some dinner. We decided on Bella Italia, a place that had been suggested by my friend, Anne. It definitely didn’t disappoint! We were seated at a small table for two upstairs. 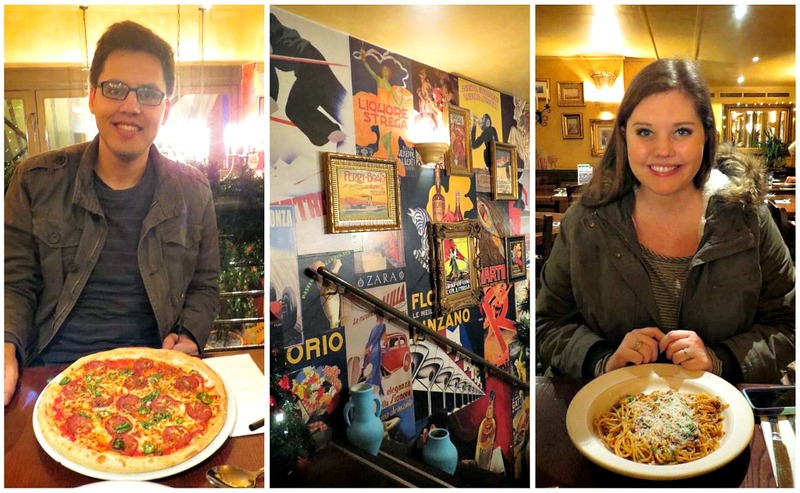 We enjoyed some delicious Italian food (pepperoni pizza and spaghetti bolognese because we’re so adventurous), and talking about how great our trip had been. 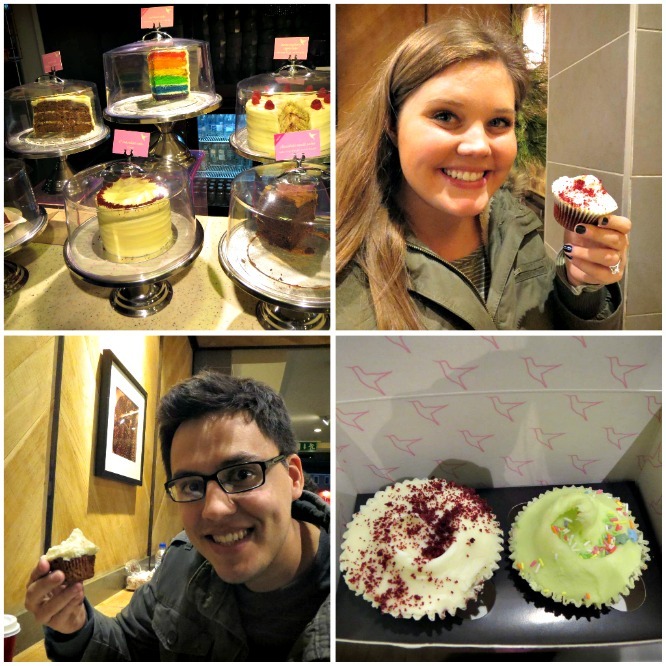 After dinner, we found the most adorable bakery, Hummingbird Bakery. I got a red velvet cupcake, and Louis got vanilla and carrot cake cupcakes. His carrot cake cupcake was literally the most delicious thing I’ve ever eaten. I’m so lucky he shared a bite with me. 🙂 I’m happy we got to spend our last night strolling around London and enjoying the ambience of the city and each other’s company. When we finally got back to our hotel, we took an Uber car to a hotel by the airport. We had an early flight to catch, so we wanted to be close by. 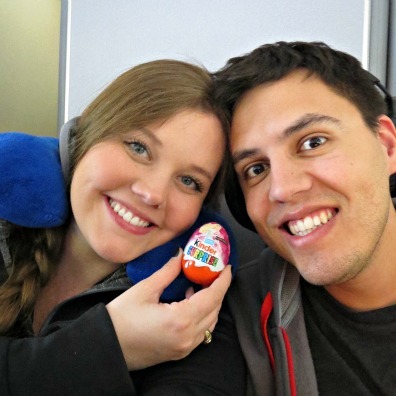 The next day, we loaded up, headed to Heathrow and hopped on a plane back to Texas! 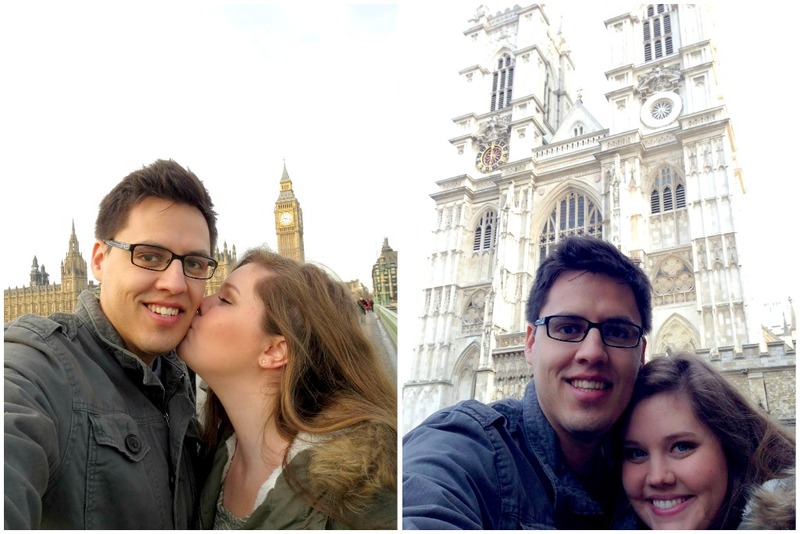 We had such an amazing time on our trip across the pond! It definitely made me want to travel more with Louis because I realized how much there is to see in the world! I feel so thankful and blessed that we were able to make such fun memories together. 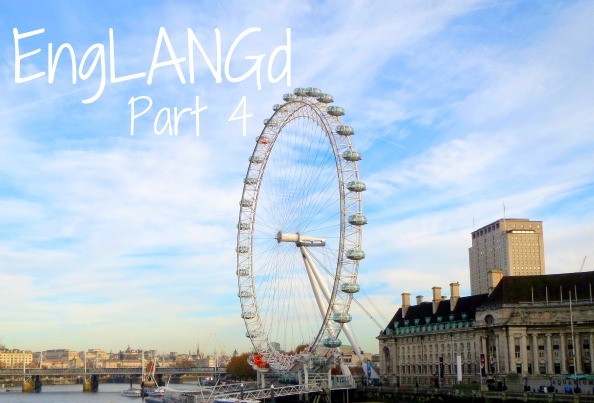 Miss an EngLANGd recap? Catch up below! Thank you! Yes it was so delicious! I know you would have loved that Carrot Cake cupcake, too! Such an awesome recap. Felt like I was there. Looks like they love to have peas with every meal. Thanks, Dad! Hah seriously!! And you know Louis and I didn’t eat a single one! Lol! Beautiful Pictures! What great fun, my husband and i love to travel. Try AS MANY FOODS AS YOU CAN! !